This unique pendant is made from petrified wood. Petrified wood is wood that, over the ages, has absorbed so many minerals that it has literally turned to stone. No Medusa required! $186.00 including free shipping within the US. 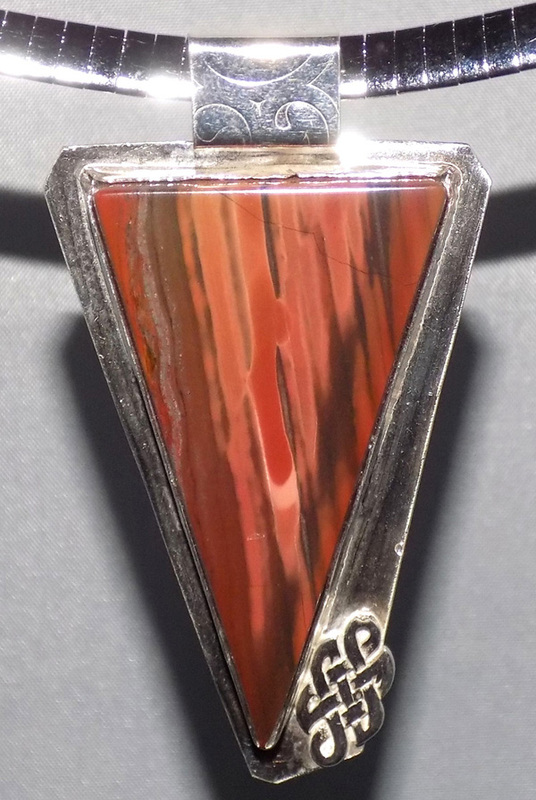 This beautiful Petrified Wood and Sterling Silver pendant is approximately 2 1/2 ″ tall, including bail, and 1 1/2″ wide. The necklace includes an 18″ Sterling Silver Chain.